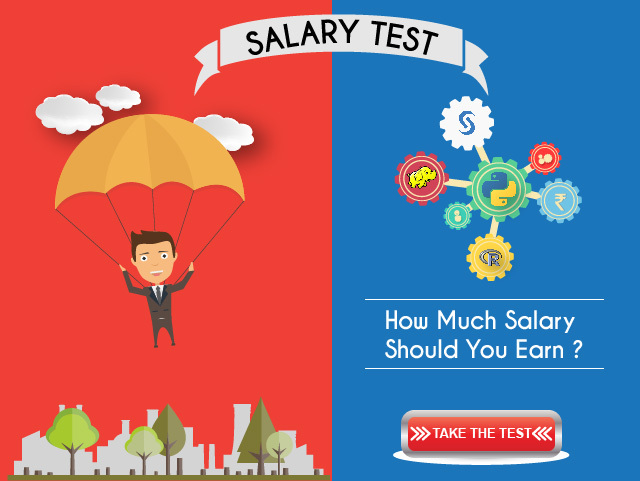 We are pleased to launch Analytics professional salary test, India – a test, which you can take and see what is the average salary for professionals like you. The test has been created by building a predictive model on more than 17,000 data points we had from interaction with various professionals in last few months. There were more than 15 input variables, but the most significant turned out to be – Education, experience, skill set and location. I think this is the first time any one has created a model / test like this based on so many data points – the only people we can thank is our dear audience! It would not be possible with out them. I hope you will enjoy this awesome survey – an application of predictive modeling for analytics professionals! Do let us know your thoughts & experience. If you like what we have done, please share this survey on social media! NOW! Pretty unique analysis. I carried one for me as well. However i think there are still some and very significant variables missing from the model. The one is the kind of technology resource is working on and secondly whether he/she has done certain industry recognized certification or not. For example:- SAS and R are technologies which contribute to the maximum number of jobs and thus salary as compared to Stata, SPSS and others is high. Then a person might not be a Post graduate however that individual could be at a managerial level & equipped with certifications such as PMP, Prince2, along with technical certifications like SAS Modeller, Advanced SAS certification, SAP HANA and like many others. Hence in both the cases his salary would be pretty high as compared to people with the same variables in the model but missing on these two as well. I hope i am making a point here. BUt the test was good & these really help us to know what is being offered in the market. Thanks for sharing another excellent blog. 1. Not all of this information was available to us. Especially information on certification is difficult to collect and find out. We didn’t do it from the start. May be we can think of storing it going forward. 2. We tried doing the tool specific part, but it didn’t come out significant. Part of it is also to blame bad data quality and missing information. Also, I think, if you know the techniques, tools are easier to learn. We are writing an article describing the process and the challenges. That will shed some light on what I am talking about. We will likely improve the model going forward. Hopefully it comes out with more granular analysis. With that big a data-set, could you also create a “Big Data” employment/salary survey? Something like O’Reilly’s annual Data Science survey but focussing in India. I think that would answer a lot of questions newbies like me have. Will you be publishing the results in public domain ? I hope so. The results will give a fresher or people who are looking for career shift like us a vital information.